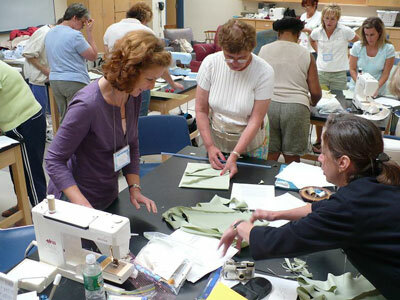 This retreat is totally devoted to the art and profession of making slipcovers for furniture. Join us for a few days in October to expand your horizons, to network and grow. Number of participants is limited. This gives each participant the opportunity to experience hands on (if the class is hands-on) and to be up close. Participant will work on a slipcover and also take home samples. (Only 6 in a class). The 2015 Slipcover Retreat is in Everett, Washington at Grow Washington. Slipcover Retreat will be held in the Washington Sewing Classes in the Grow Washington building. click here to find out more about the Slipcover Retreat and how to get registered.